Gum disease is when the foundation of gum and bone that supports your tooth gets invaded by bacteria. If you take a look in your mouth, you’ll notice that each tooth is surrounded by gum tissue. There’s a small space between your teeth and gums called a sulcus. When bacteria get down into that space, it causes your gums to become inflamed to try to fight off the bacteria — just like when you get a cut, your skin gets inflamed. Unfortunately, over time the gums and bone that support your teeth try to back away from the bacteria. If they back away as far as they can, your tooth won’t have any gum and bone to support it and will become loose and eventually fall out. During every exam, we evaluate for signs of gum disease. On every new patient, we measure the sulcus around your tooth at six different spots to ensure that your teeth haven’t started losing this valuable gum and bone support. If you have gum disease, there’s no need to worry. We have many ways to fight off the bacteria that cause your teeth to lose their foundational support. 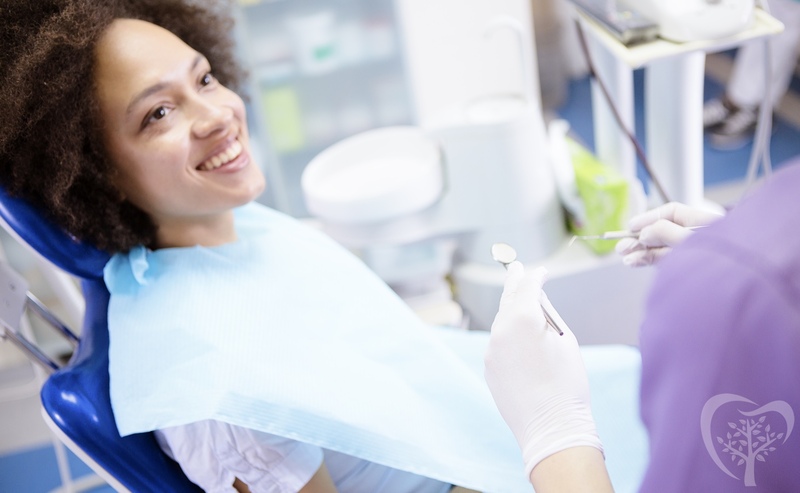 We can perform what’s called a deeper cleaning, where we numb the area around your teeth and thoroughly clean out that sulcus to allow your gums to heal normally around your teeth. Lynchburg also has gum specialists called periodontists. We can give you a referral to them if needed.